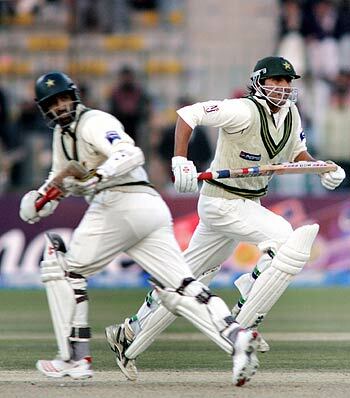 The two of Pakistan's Big Three shared a ridiculously huge 319-run stand for the third wicket. Dravid n Sehwag's stand of 410 then followed. What testament to the flat track!